The school building has been designed very intelligently fulfilling the needs of the modern generation. 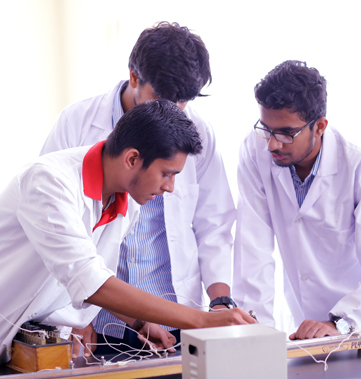 The whole campus is centrally air conditioned, providing an excellent environment for learning. Our campus has 24X7 power backup, so there is no excuse in learning. The school also complies with fire safety standards and have all the necessary firefighting equipment and certifications. CCTVs are installed all over the campus and in the fleet of buses. We believe in equal opportunities to every section of the society. Therefore, we have ramps and lifts for the differently able people. The classes have smart boards installed, to help our talented teachers teach with the help of interactive media. 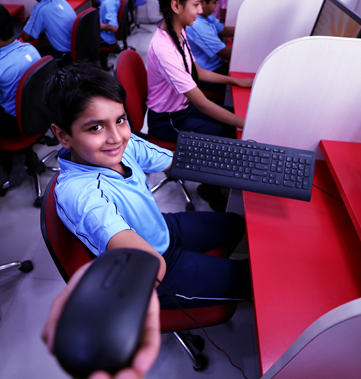 We are the first school in Faridabad to have smart classrooms. Our classes have specially designed tables and chairs for students that assist them in maintaining their posture. For each section, the size of these tables and chair differ. When it comes to sports, we have an official size Basketball court, a Volley Ball court, two Badminton courts, Table tennis room and many indoor games such as chess, carom, skating, skate hockey, gymnastics, Judo mat, etc. We also have a dance studio and a music room with a talented faculty and every equipment that is needed. When it comes to performing dance, singing, giving a speech or debating our students do not shy away. As part of the curriculum, every student gets a chance to remove the stage fear. To do that our campus has an auditorium with the capacity of 100-120, an open assembly area whit a huge stage and currently under construction a large hall with a capacity of 300-400 patrons. Our campus also has a Cafeteria on-site that provide nutritious and delicious food to students and faculty members. Or as we call it “Dr. A. P. J. Abdul Kalam Lab.” We have named our physics lab after a great Aerospace Scientist or commonly known as People’s President of India. The lab has world-class equipment that our young physicist requires to experiment and learn the laws of physics. Or as we call it “The Michael Faraday Lab.” He was famous for his contribution to electrochemistry and electromagnetism. He studied the fundamental element of the organic world i.e. Carbon. 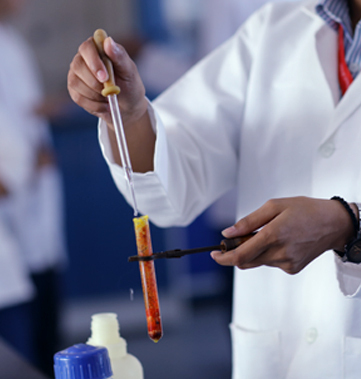 Our chemistry labs have with latest tools that required to perform reactions. The lab also has all the industry standard safety equipment on-site because precaution is better than cure. Or as we call it “The Darwin Lab of Evolution.” Named after the father of modern biology Charles Darwin. He is known for the famous theory of evolution. Biology is the stepping stone in the field of medical sciences. We encourage our student to explore this area more by providing them the opportunity to experiment and learn the complicated topics with the help of practical. Or as we call it “The Alan Turing Lab.” Named after an extraordinary computer scientist Alan Turing, who is also known as the father of modern computing. His algorithms helped in saving millions of innocent lives during the Second World War. Our Computer Labs inspired by great scientists like him have state of the art computers to feed the hunger of curious young minds. All the systems have secure broadband connections, which provide our students to the vast world of internet. Don’t worry! We have safe filters installed so that student can surf the web safely and securely. We have named our Library after the father of our nation, Mahatma Gandhi. He visioned a well-educated India and as we all know books are a man’s best friend. Our school’s library has thousands of books that the students can lend. We have an excellent collection of literature and novels that a student can enjoy. We also have a variety of reference books and encyclopedia to help them study. 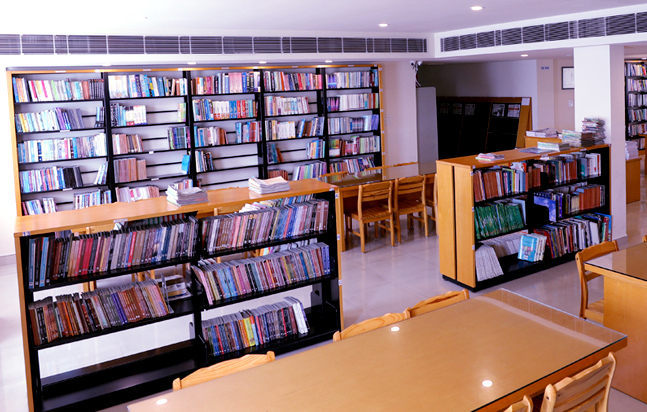 Our library also has resource computer systems that both students and teachers can access in their free time for information from the internet.